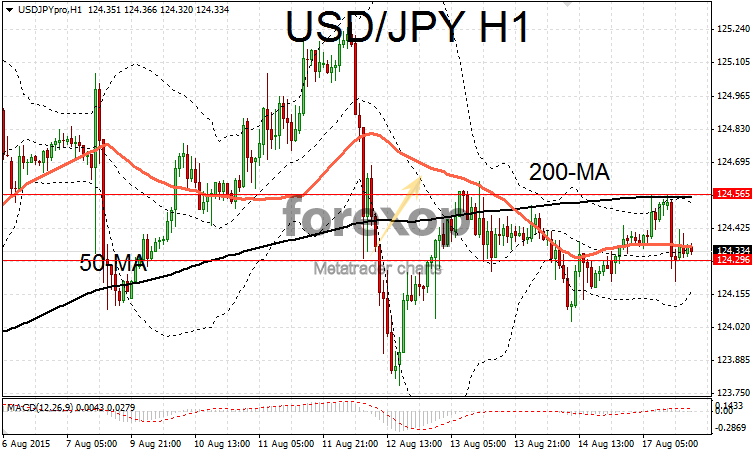 USD/JPY was trending lower following some encouraging data on the Japanese economy. The pair failed to break resistance at 124.56 and began moving to the downside after the latest NY US manufacturing survey was released. Preliminary GDP figures for the Japanese economy beat expectations. Quarter on quarter growth stood at -0.4% in Q2. That’s down from 1% in the first quarter of the year. The forecast was for a 0.5% drop – so the data provided a slight upside surprise. The downside however came from the fact that consumer spending and exports remain well below targets – as does the official inflation level. The recent data has brought into question the effectiveness of Japan’s economic reform program which is intended to provide a boost to the stagnant economy. A weaker pound and stronger yen allowed GBP/JPY to tumble 0.7%. The pair moved to the top of the 193 area after failing to convincingly break resistance around 194.94. Lower support is expected around 192.75. A raft of important economic data affecting sterling is due Tuesday. Inflation figures are out tomorrow morning (GMT). Retail sales figures will be released on Thursday. Commodity currencies managed to buck the trend and push higher on the yen. 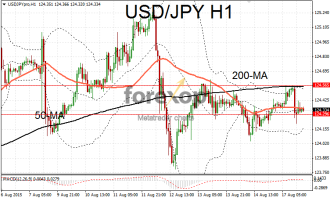 AUD/JPY reversed three days of losses and moved back up towards 91.82. AUD/USD was trading higher against the greenback with a move up to 0.7385. Australia’s central bank is due to release the minutes of its last meeting later this evening. Events on the Chinese stock market as well as the ongoing volatility in commodities are expected to loom large in the committee’s statement. China continues to mark down the official band in which the yuan trades against the US dollar. Three adjustments by bank officials have taken the floating band some four percent lower – this has had a ripple effect on commodities and currencies linked to them. The New Zealand dollar also managed to regain some of its losses on Monday. NZD/USD rebounded back to 0.6577. Sentiment towards the kiwi does however remain low owing to a number of fundamental headwinds.